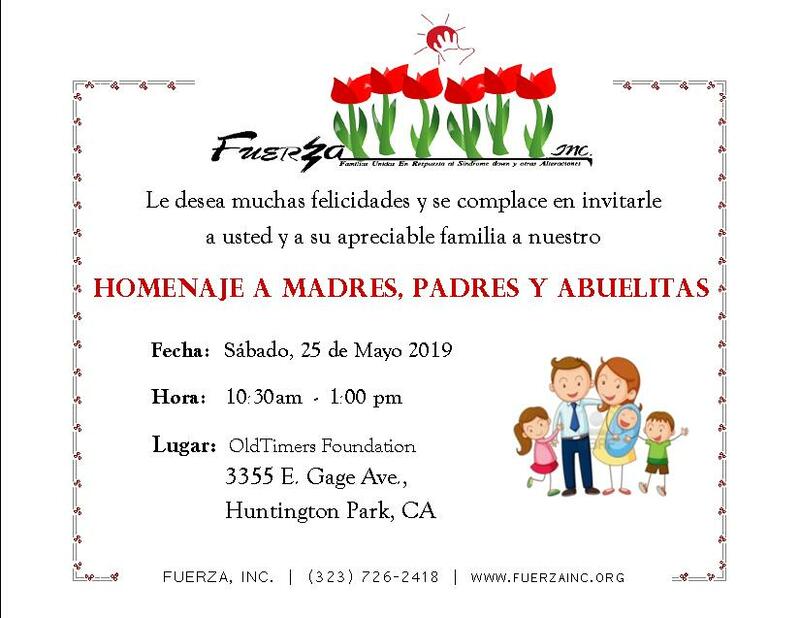 FUERZA, Inc. is a non-profit organization whose members are Spanish-speaking parents of children with a developmental disability. Fuerza is entirely operated by its volunteer Board. To serve as a source of education, support and guidance to the many families who have a developmentally disabled member, and to help unify the families with special events and parent-to-parent support activities. Based on the belief that every human being, regardless of their physical or mental condition, has a right to develop to the maximum of their potential, and to contribute to society the walth of his/her individual values. We believe that beyond the physical or biological characteristics, there is a human being whose dignity must be totally acknowledged and respected. Copyright © 2018 FUERZA, Inc.